Lounge in style with the Nara Swivel Chair by Eichholtz. 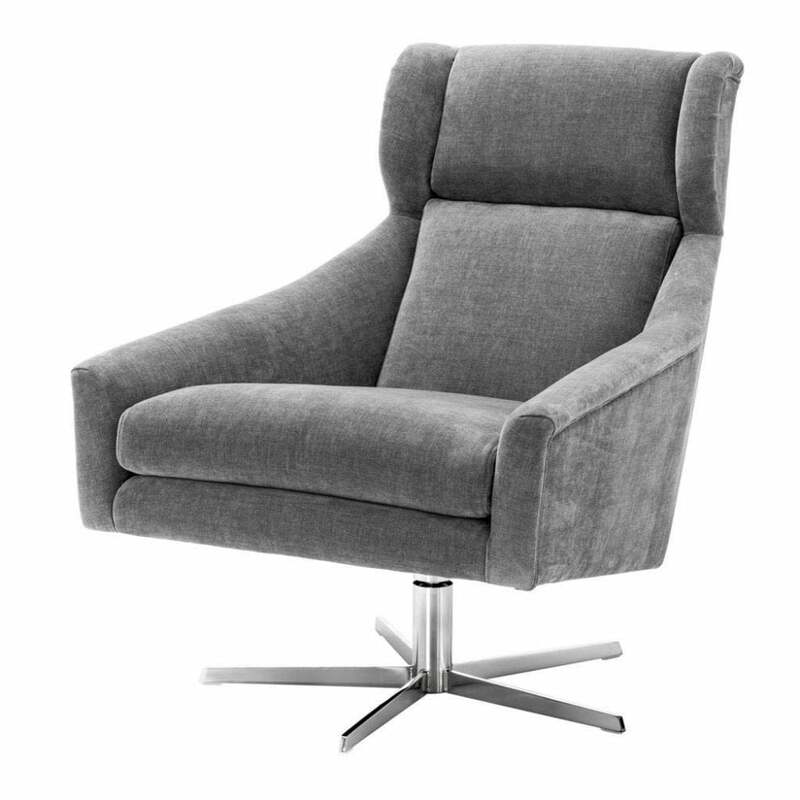 Classic and timeless, this designer swivel chair is upholstered in a textured, linen effect, grey fabric. Complemented by a nickel finish stand with swivel base, Nara is ideal in a home office as a luxury desk chair. Crafted with a padded backrest and deep seat, the sturdy framework is finished with a plush foam fill to provide maximum comfort. The angular arms and high back are reminiscent of mid-century modern furniture designs. The Nara Swivel Chair will also provide a modern style seating solution for a contemporary living space. Combine with leather upholstery and industrial accents for a New York Loft inspired look. Make an enquiry for more information.